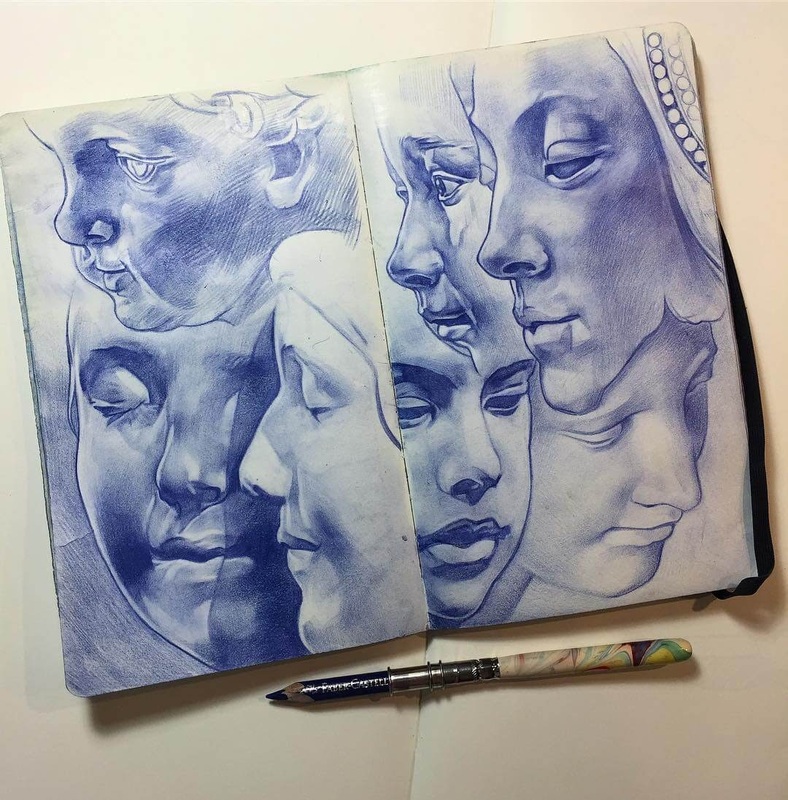 Portraits of people and reproduction of marble statues. 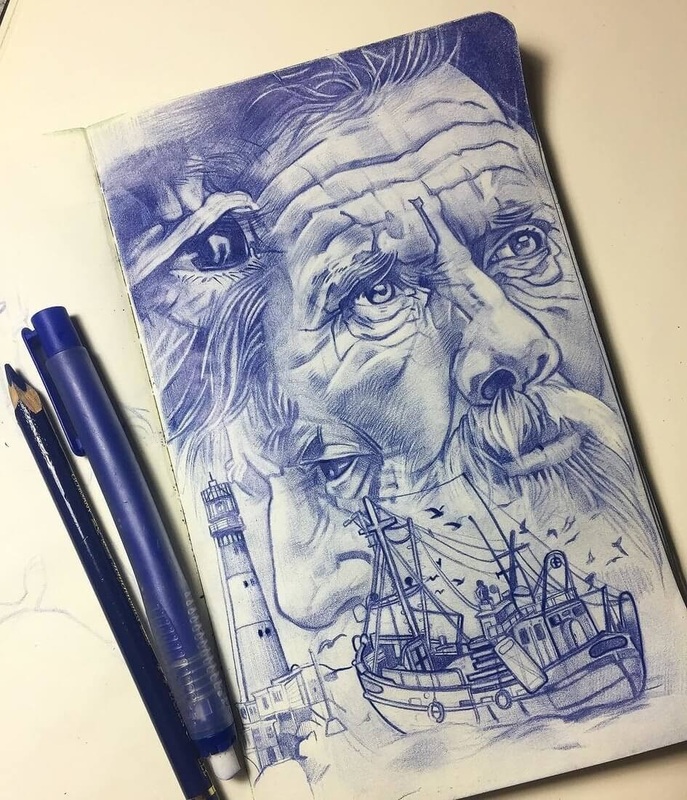 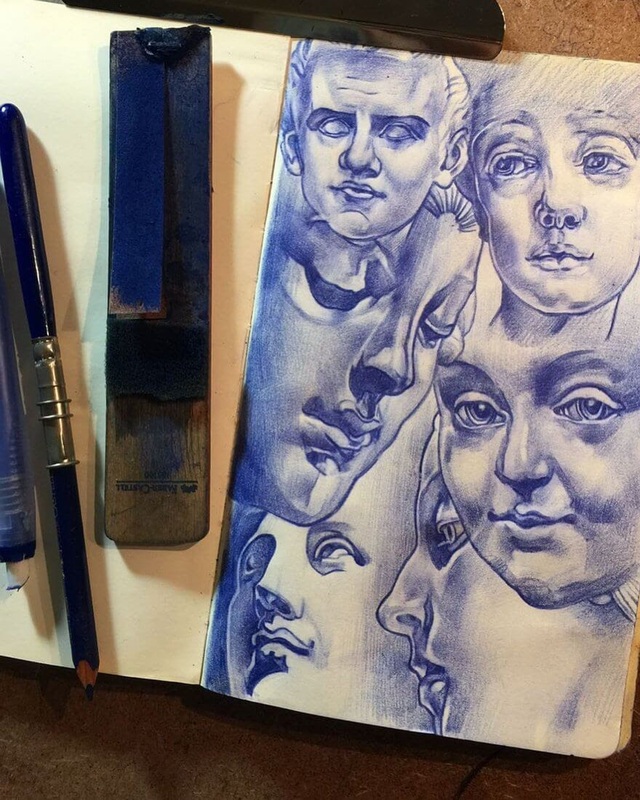 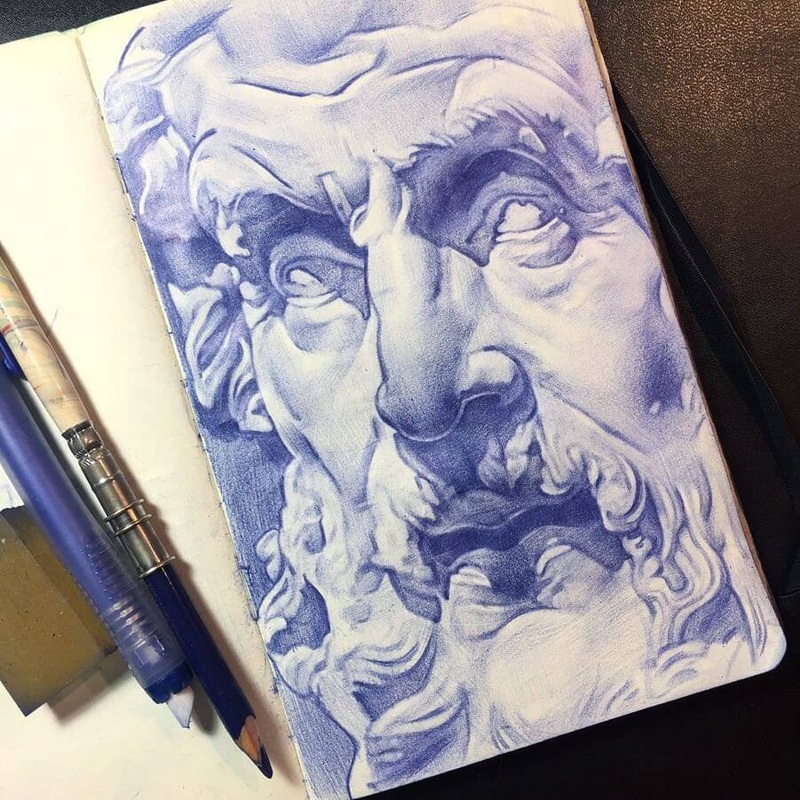 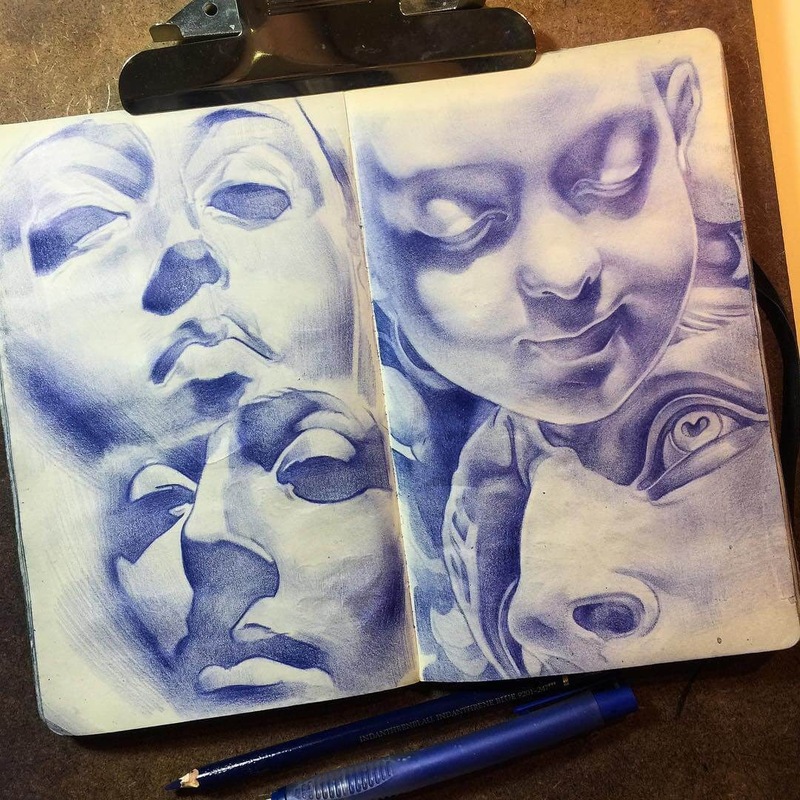 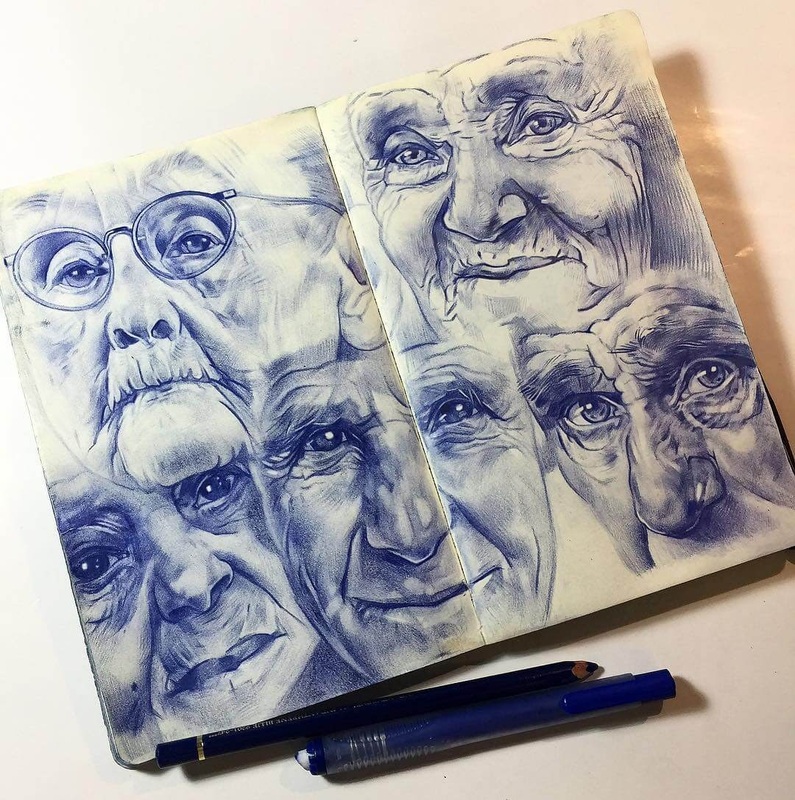 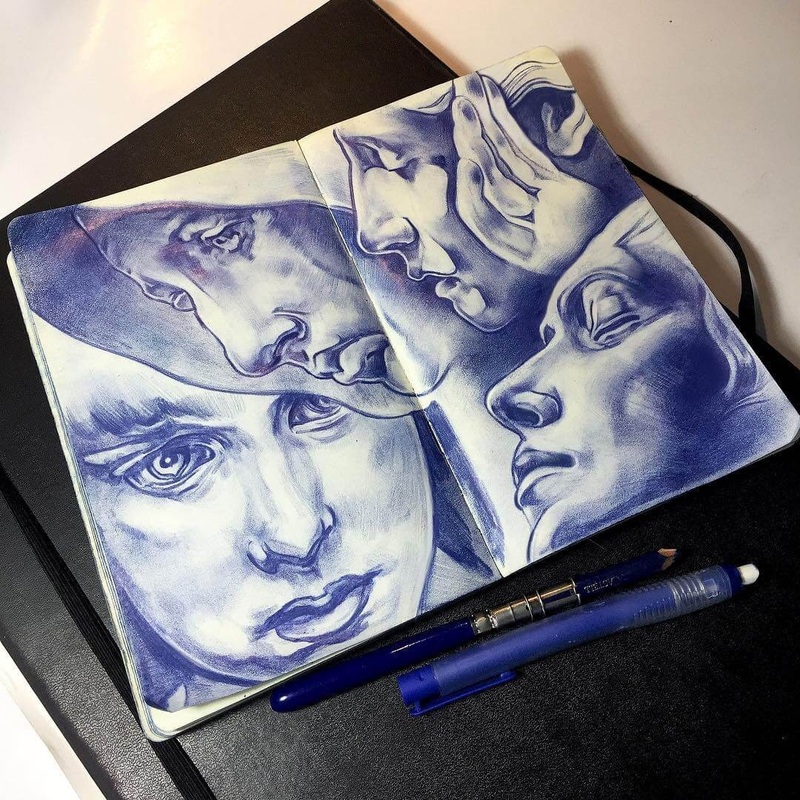 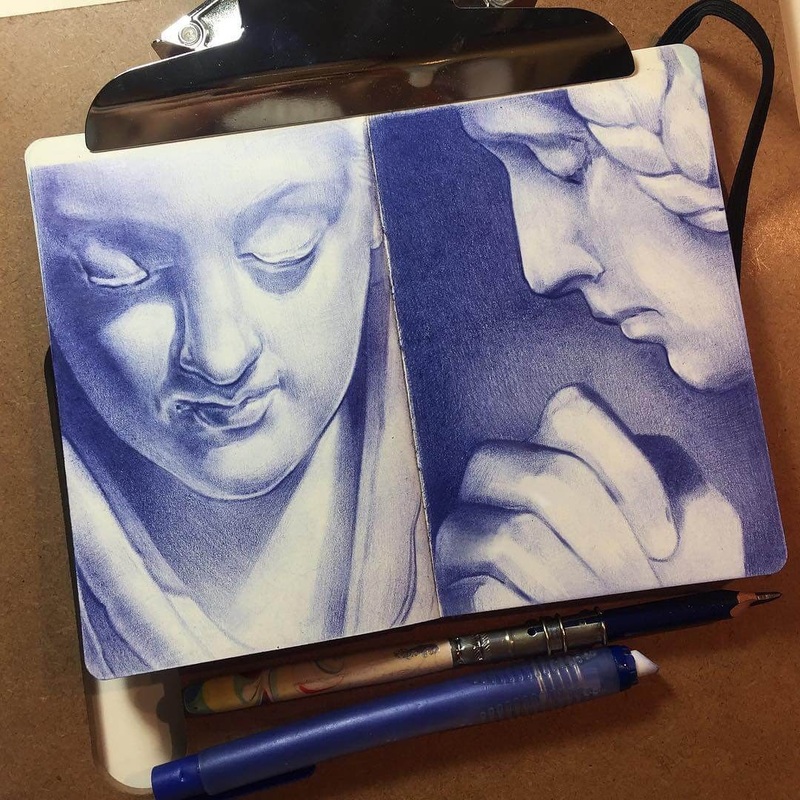 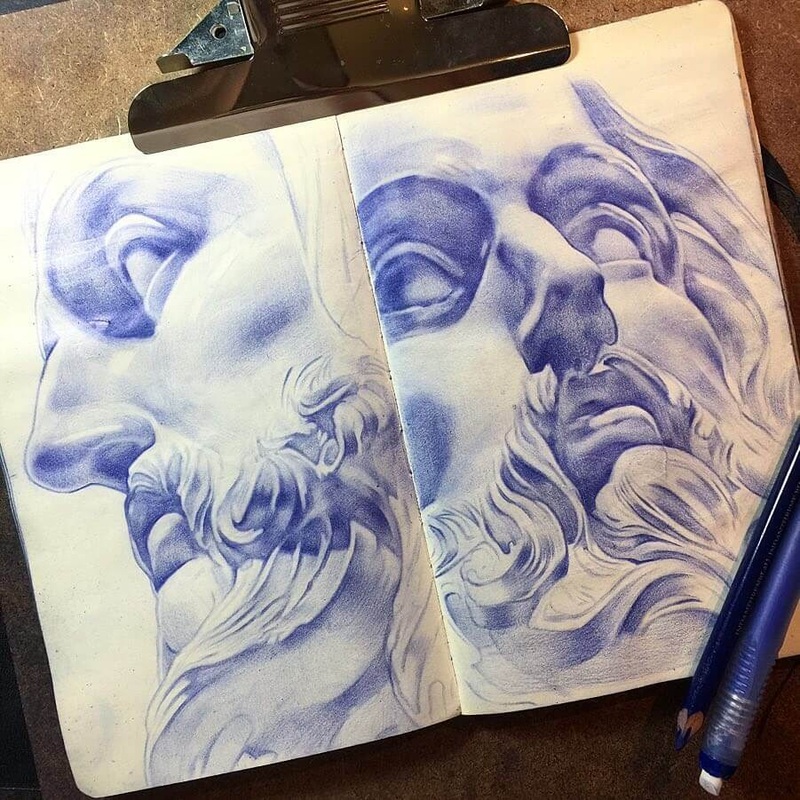 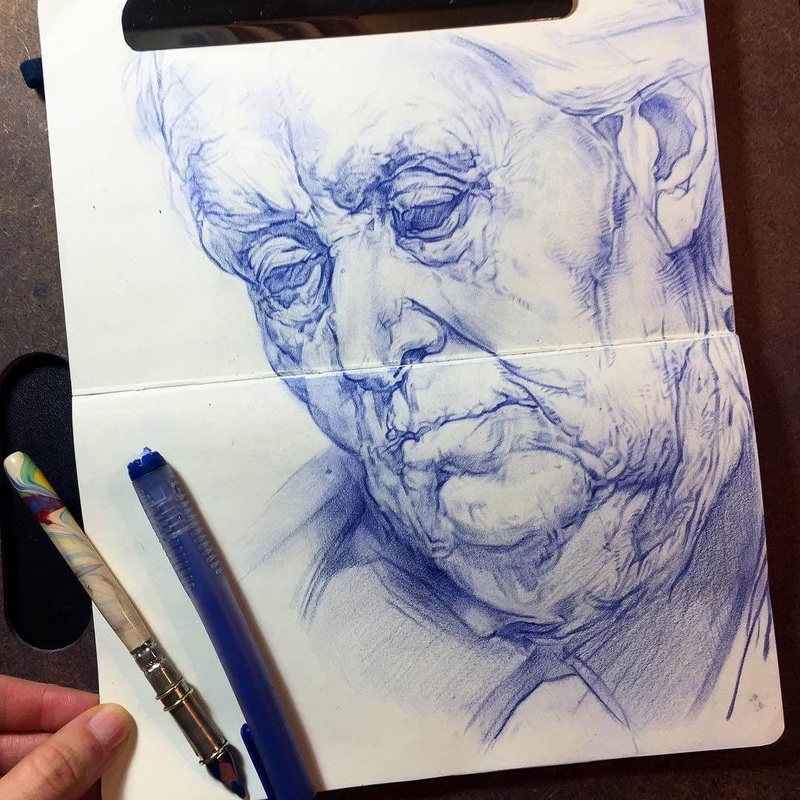 Russian artist Tatiana Caffeine uses blue colored pencils to create her drawings. 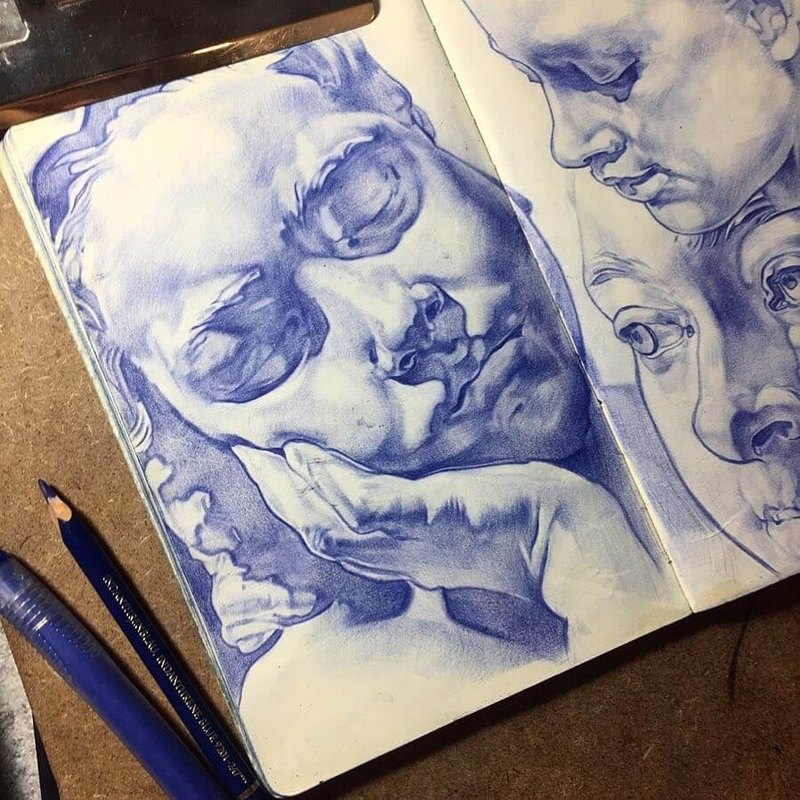 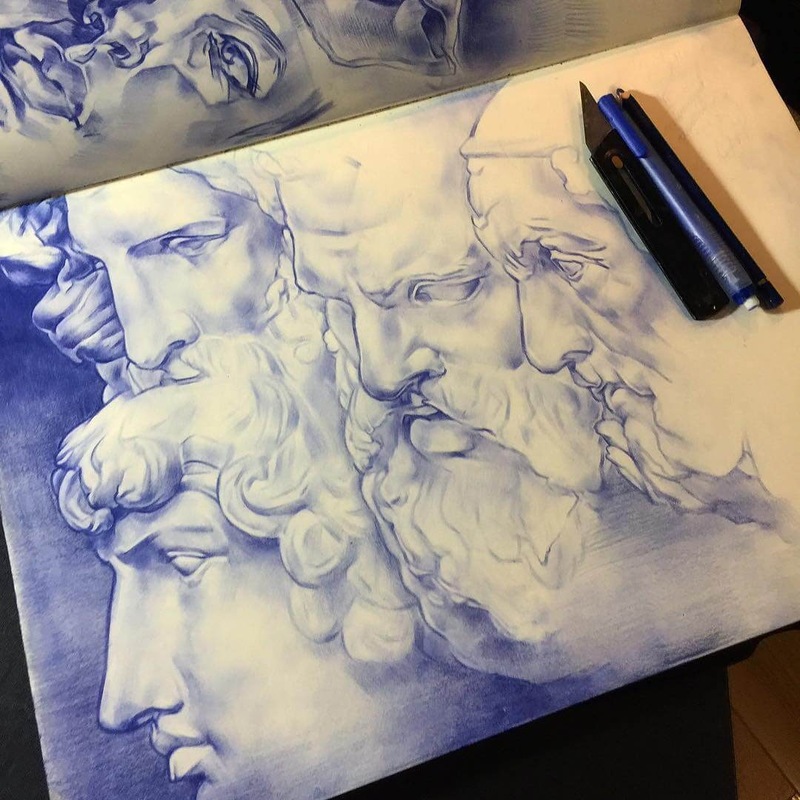 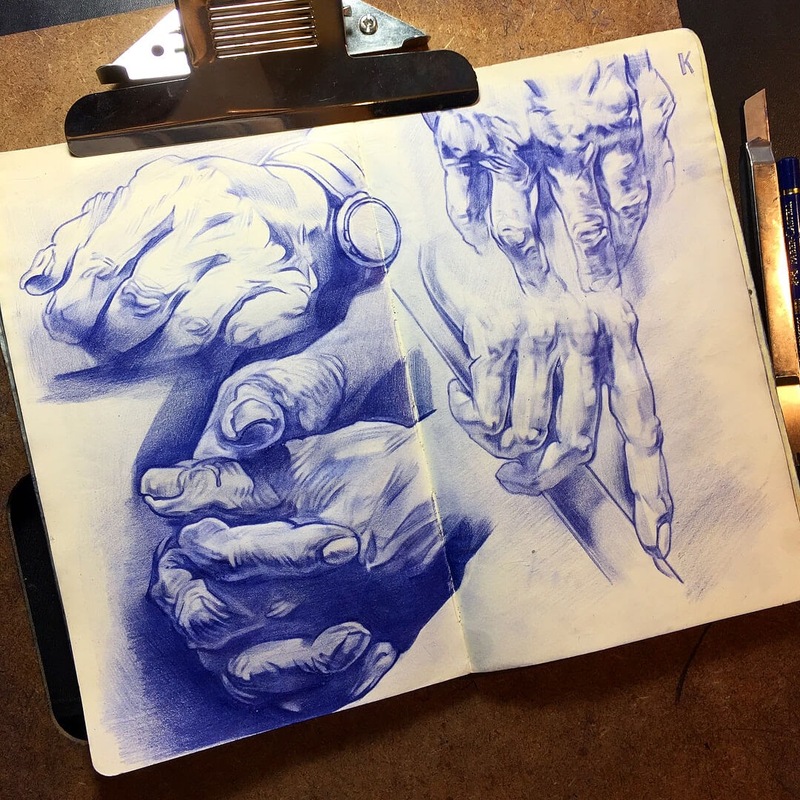 I love the color blue, it really gives the drawing a very classic look, coupled with the shading and contrast, help to give the finished face, that realistic look. 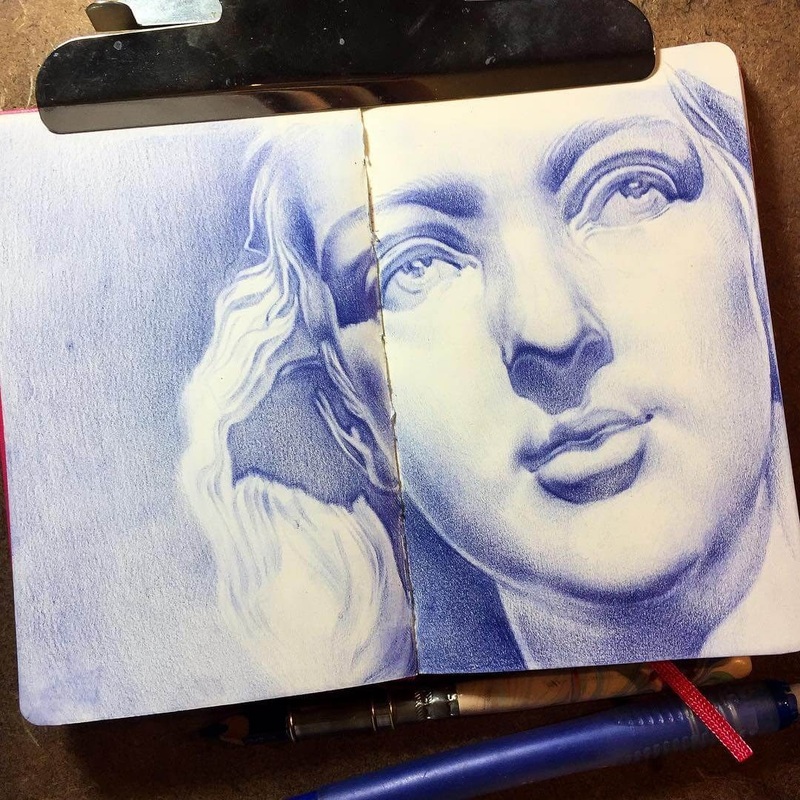 When it comes to statues, the detailing in the skin gives way to this beautiful polished look that marble is so well known for. 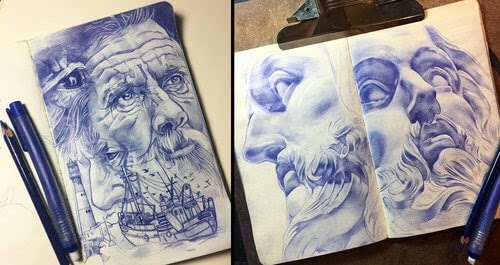 No wonder that when people speak of perfect shin, they refer to porcelain or marble.